What are some of the advantages of wireless temperature monitoring? Before discussing these benefits, let’s take a step back. Fleets traditionally control temperature through onboard trailer monitoring. Trailers produce temperature reports throughout the trip and these reports are reviewed afterwards. This approach, unfortunately, is reactive rather than proactive. Fleets often realize issues only after the food is spoiled, or worse, when the customer finds out. 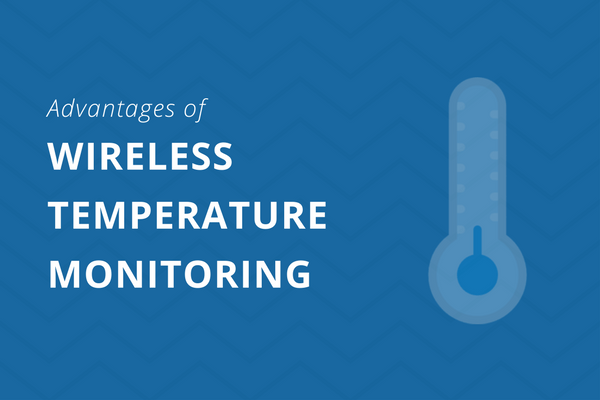 Let’s delve into the most important advantages of wireless temperature monitoring. A common customer complaint is that cargo is not handled properly. Some customers require documentation to provide proof that the load is kept at an appropriate temperature. In some cases, carriers were sued by their customers for improper handling. There is a long history of court cases dating way back to 1856. After many battles and decisions, courts ruled that carriers can be held legally accountable for food spoilage. In order to respond to customer service demands and to avoid lawsuits, fleets turned to real-time temperature reports. These reports are sent to customers and updates them about the load’s temperature throughout the trip. Outdated temperature systems increase the risk of food spoilage. In old systems, fleets rely on drivers to check loads and report issues to dispatchers. Drivers, from time to time, fail to notice temperature changes or fail to report it to dispatchers. A key advantage of wireless temperature monitoring systems is providing real-time alerts to prevent spoilage. How do these alerts happen? Fleets can set a temperature range rule. The system then records and monitors temperatures. In the event that temperature is outside of the acceptable range, the system warns the office. This allows dispatchers to alert the drivers and to schedule service before the load gets spoiled. How can carriers provide extra care? Part of the requirements include providing a report on trailer temperature upon the customer’s request. A smart step for preparing for these requirements is to investigate systems that provide such reports. How can fleets get the advantages of wireless temperature monitoring? There are several solutions that can provide these advantages. A good starting point is to research reefer temperature kits and Bluetooth asset tags. Both of these solutions provide temperature monitoring and could be a fit depending on business needs.